Those of you who were not children in the 50s, early 60s or before have little idea of how tabooed the word “f*ck” once was. Even now I’m reluctant to write the entire word. Parts of childhood never end. As a kid, I never heard the word used in mixed company, though undoubtedly adults, more often men, used it among themselves when kids like me weren’t around. Decades later in the 1980s when moving to San Diego, in walks on the beach I would overhear teenage surfers littering each sentence with a f*ck, or f’*cking and I was glad no older women were around to hear it. That’s how vulgar the word once was, how upsetting it was to some to hear or read it in public. One indication of the word’s taboo nature is that no dictionary contained “f*ck” until the 1960s. And the few novels in which the word appeared were banned or taken to court until 1950 or so. Coincidentally, Boston was particularly known for banning books, a ban which often juiced up sales elsewhere. A war novel in the late 40s titled The Naked and the Dead managed to avoid some of the controversy by replacing the tabooed word with “fug”. More common substitutes have been frig or screw. “Screw you” was a more acceptable way to say “F you” in my youth, but still considered somewhat vulgar. These days I wonder how many people realize there was a connection. What does “our f*cking city” even mean? That’s part of the wonderful elasticity of the word. It is just our way of putting a gut punch in something we say. Or in this case, Papi was grabbing our heart strings and pulling them together. Anger, love, strength rolled into one word. But we should realize that the punch and the passion of that word has been dwindling from overuse. It’s extraordinary power is based on a taboo whose force continues to lessen. The more ordinary, the less extraordinary. I hope Julius comes up with some good answers. P. S. *1 – Part of the motivation for this piece was feeling f*cking overwhelmed trying to sort out the economic issues involved in our politics, as expressed in the graphic above. P. S. *2 – Those inclined to reflect more on the topic should find this entry from the Online Etymology Dictionary of interest. Austerity vs. Stimulus: If you read my previous post, you might be sick of this topic, or still in the process of reading some of the linked articles. Had I known that day the Stephen Colbert was going to cover the Rogoff-Weinhard controversy that night, I would have saved what I wrote until after you watched his show. With his usual well informed wit, he did a great job of summing up the issue in an enjoyable way. Check it out at Colbert Report. Also, if you want ongoing updates, keep checking the Paul Krugman link in my Blogroll, as he has his teeth into it like a dog with a bone. Fiscal Follies: While economists debate the big issues of macroeconomics, congress mucks along keeping the government going with one patch work deal after another. To recap: Congress got over one hurdle awhile back by passing a continuing resolution to fund the government until the end of the fiscal year in September. That’s one step to keeping it financed and functioning. 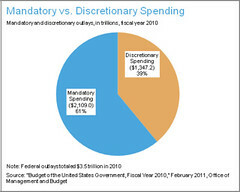 Actually helping the budget is the sequester, which made more-or-less across the board cuts in non-discretionary spending. However, while helping the budget it hurts some and irritates others in the process. With the reduction of air controllers, for example, there has been the expansion of airport lines and waits on tarmacs. Ah, but today I heard about some bill making its way through congress to alleviate that situation by moving funds from somewhere else. Ever hear of that old expression “borrowing from Peter to pay Paul?” Ad hoc government is becoming our specialty. The next big ad hock decision will be raising the debt ceiling again. I have been saying that would come around late May, because the legislative deal in January indicated May 19. But it turns out it also allowed Treasury “extraordinary accounting measures to help delay hitting the ceiling”… so early August seems the time for the next shoot out at the OK Corral. The Republicans have been developing a bill in the House this week aimed to shore up their position for the upcoming battle. Gun Control: I realize the issue is often talked about as “gun safety” these days, so as not to rankle gun owners, but I’ll stick with “control” for now. Everyone knows the Senate failed to pass a background checks bill despite numerous polls indicating nearly 90% of public approval. President Obama has been blamed by some for not twisting enough arms to get the bill to the House, but as I argued in an April 12 post, that’s not who he is. Perhaps he could stretch his norm, but why do it just to get the bill to the House where it will go nowhere? I believe that as congress is now constructed (both in terms of people and procedures), very little of consequence will get passed before 2014. But a “paper trail” will be developed for the 2014 mid-terms and Republican general recalcitrance might, just might alienate enough voters to tip the House back into Democrat hands and in turn the possibility of a functioning congress again. With that in mind, this gun control setback might actually aid a later election win, if we can believe the overwhelming support for background checks in the polls. Immigration: Some sort of integration deal might come to pass because elements in both parties see it as advantageous to themselves. The question is, assuming a bill gets out of the Senate, whether the Tea Party types in the House will be strong enough to stick a monkey wrench into any deal. Will Speaker Boehner be willing and able to garner enough Republican support to combine with the Democrats to get something passed? A column by Dana Milbank yesterday provides some insight as to how hard it is for House leadership to marshal the Republican troops. So ends this thumbnail report on our creaky ship of state. My last post was mostly a pointer to the topic of Governomics listed above and (if you hover over that) the sub-topic of Dealing with Debt, meaning our national “debt”. The core issue I wanted to bring up was the sharp divide between academics/researchers on the issue of what helps and hinders the growth of an economy (made all the more complicated by globalization). That split underlies and informs the split in congress over budget issues and plans to stimulate the economy thereby cementing gridlock. Some believe our growing debt is our biggest fiscal problem and must be dealt with right now. Others believe that our biggest fiscal problem is a weak economy with high unemployment that would benefit from more government stimulus money. They believe we should wait to tackle the debt issue until the economy is stronger. Paul Krugman is the best known advocate for the latter view. Those who emphasize the danger of debt also tend to warn of the danger of the Federal Reserve bolstering the financial system by injecting money at low interest rates, rates that austerites argue will eventually go up to more standard levels of five or six per cent….which will force much bigger interest payments on our burgeoning debt. Altogether a debt time bomb. As mentioned on my Governomics page above, until very recently, austerity preachers often suggested the tipping point of debt to GDP would be around 90%, basing it largely on a study by two Harvard professors Weinhard and Rogoff (a per cent that seems extra scary as we are now at about 75% and climbing). But now that study is under fire because other researchers have found errors or questionable judgements in it, initiating quite a pie fight among economists. All that is really a preamble to this. Swedish economist Anders Aslund, a defender of austerity, has written a defense of Weinhard-Rogoff in which he calls those who critiqued his study “vicious”, an accusation that Paul Krugman takes issue with in his April 22 blog post; Very Sensitive People. Reading Aslund’s piece and Krugman’s response will provide insight into the nature of this stimulus vs. austerity debate, which is raging in Europe as well. Actually, if you click the Krugman link above, you’ll see at least three posts more recent than “Very Sensitive People” in which he also battles with his foes, shedding more light on the arguments between them. In one of them, Krugman lashes out at Robert Samuelson for his suggesting in his The End of Macro Magic that current macroeconomics is a mess, pointing out that Samuelson’s sources were those who have proven themselves regularly wrong. Needless to say, Krugman wasn’t one of them. While Krugman has well respected allies who share many of his opinions, such as fellow Noble prize winner Joesph Stiglitz, he is the most incessant in making his p0ints and spares no feelings when challenging those who preach austerity and tight money as the combined path out of these hard times. In short, he remains in the center of the action, which is why I often refer to him in my posts. That and, from what I can tell, he makes a good case for his positions. In my April 5 post I told of an upcoming panel discussion including economist and columnist Paul Krugman and David Stockman, a former budget director for Ronald Reagan, on Week End with Stephanopoulos. While I had planned to return to a discussion of this encounter, it struck me after watching it twice that it was not worth it. Had it just been those two it might have been, but there were three other panelists as well which fractured the nature of the discussion to the point where no points were really developed, just differences emphasized in a scattered fashion. This is a common problem with such so-called discussions on TV. They seldom lead anywhere due to the complexity of the issues and the short amount of time that the programming allots. I thought Chris Hayes did the best of anyone with that kind of format, but he had two two-hour programs on weekend mornings to do it. Now MSNBC has moved him to a one hour show late week day afternoons and, while no doubt a promotion, I believe his program suffers as a result. I’m not here just to gripe, though (I already did that in a couple of posts last May when Krugman also happened to be on Stephanopolis). Instead I think it worthwhile to develop some background information on these issues, so that I can refer readers to it when writing related posts, as I am about to do right now. The Governomics page, linked near the top of this home page, gives a thumb nail sketch of my present take on the nature of the huge fiscal problems that appear in store for us over the next 10 to 25 years, let’s say. Tied to that is a sub-page where I describe three different assessments/approaches to these fiscal problems, one of them with liberal Paul Krugman as the poster boy, another with Paul Ryan and a third with fellow conservative Pete Peterson, probably the least known of the three but by far the richest and spends his money to be influential. I also include David Stockman, who seems to fit well in the Peterson camp. This seems a more fruitful way to broach these issues than a return to the Stephanopoulos verbal merry-go-round. What is normally a great American tradition, the Boston Marathon, turned bitterly sour yesterday as someone or ones chose to wreak havoc for reasons and/or insanity as yet unknown, leaving three dead and about 130 injured, some very badly, from two explosions. There was a fire and possible explosion reported at the Kennedy library, with no reported injuries. As far as I know at the moment it is unrelated. Most of what I just wrote, accept the exact number of dead, was known soon after the explosions, but it has prompted an incessant media storm made up primarily of speculation and “color” side stories of the those involved in one way or another. The rise of cable news has created a weird reality unto itself. Something breaks out as the big event and everything else is forgotten. What they do in a situation like this is not really report the news but develop a ritual of honoring and grieving and philosophizing to keep our attention. They become performers rather than reporters, since there is very little actual news to report. They fear, perhaps rightly, that if their channel doesn’t stick with the hot topic, viewers will drift elsewhere eager to learn one more detail even though most of the coverage is just endless repetition made up largely of speculation, all spoken in somber voices and with funereal faces to remind us of the seriousness of what we are watching. It makes one feel unpatriotic not to watch, but what it there really to watch? Of course, I am not saying such an incident doesn’t deserve attention. It pierces our collective consciousness, which is why I feel the pull to say something about it rather than about other news of the day. And there may be helpful psychic adjustments being made during this period of media mourning. But does it have to go non-stop? When is enough enough? The ratings seem the only answer to that. They lost me early yesterday evening and in fifteen minutes of watching this morning, I realized they had nothing significant to add. But the bombings have prompted another thought I want to mention. The arbitrariness of good and bad fortune hits home here. I called friends in Boston last night and found them just fine and little more affected than I am in San Diego. So, my friend in Florida was more affected than my friends living in Boston, and might have been tragically so had her niece not looked for a better spot to see her dad. In contrast, eight year old Martin Richard and his family embodied the worst of the tragedy. Waiting for his dad to finish the race, Martin died from one of the two explosions, while his mother, Denise, was hospitalized and reportedly underwent brain surgery last night. Also, a 6-year-old sister, whose name hasn’t been released, lost a leg. A third child was physically unharmed. David Frum (linked in my Blogroll to your upper left) has pointed out a list of people offering their homes for those in need after the tragedy. It picked up my spirits a bit glancing at it. Directly linked here. You wouldn’t want President Obama with you at a Mexican marketplace to talk down a merchant for a better price on a leather belt or a piece of pottery. He wouldn’t want to start bargaining by beginning with a low ball offer in order to eventually settle with a good deal. It wouldn’t be reasonable. It’s not his way. It’s not who he is. His “way” often did not work well for him in his first administration, either, as he always worked for some kind of compromise on budget issues that would seem to a majority of us as more or less reasonable. Some combination of spending cuts and tax hikes. Politics usually revolves around leverage not reason, so political calculation often depends on making a convincingly do-or-die “immovable” line in the sand, so as to leave room for movement towards compromise later. Each side does what’s reasonable only when they can’t think of something better. In the traditional tug of war of deal making, Obama gave up lots of ground at the start, encouraging the Republicans to demand even more making any kind of compromise impossible (*1). However, this presidential term the Obama way is working better. It is working better because he is playing both a small game and a big one at the same time. An example of the small game is the gun control issue. 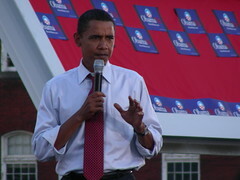 While a poor bargainer, Obama is a great campaigner. The gun issue has been been turned into a well coordinated campaign, keeping the flame of Sandy Hook Elementary School alive in our collective consciousness. Due to a Tuesday compromise agreement on background checks by a Sens. Manchin (D) and Toomey (R), there is a possibility that something akin to that will actually make its way through congress. Still unlikely, but possible. If it does, it will be a success for Obama. If it fails it will be one more indication of Republican inflexible resistance to being reasonable. Prior to “the agreement”, 14 Republican Senators threatened to filibuster any gun legislation that would be brought up, despite not knowing what it might be, an example of how they contribute to this image. Being the party that is inflexible and uncompromising is the image many Republicans want to change. Meanwhile Obama’s big game is to engrave that obstructionist image ever deeper in our minds by the 2014 mid-term elections. You can see it in everything he does. In response to criticism that he held himself aloof from congress in his first term, he has been hosting dinner parties, like the one a couple of days ago for 12 Republican Senators. How reasonable. Also, he has a new budget out that aims at the center, angering some in his own party because of some cuts to entitlement programs, but it seems reasonable to many others like myself. He has made some concessions to the Republicans, but they continue to want much more, seeming unreasonable in the process. While I think Obama overplayed his hand regarding the pain the sequester will cause, it will hit home to more and more Americans in upcoming months and Republicans will likely be blamed more for that than Democrats, who were generally willing to scrap the agreed upon across the board cuts. In short, I believe Obama’s way is working these days, likely to prompt small victories like some changes in gun control, or provide further proof of Republican intransigence when his reasonable proposals are rejected. As such, even if Obama suffers numerous setbacks in his agenda he might profit enough from adding new layers of paint to the Republican obstructionist image, so that the elections of 2014 will give the Democrats the control of the House back. (*1) To say Obama weakened his chances to reach a bargain by starting close to the middle does not exclude the possibility that the Republicans would have found reasons to resist any kind of compromise. Recall the 2011 Republican presidential primary debate in which all eight candidates indicated they would not accept a deal of 10 dollars of spending cuts in exchange for one dollar in raised taxes. With a mind set like that, where is there room for compromise? If you have trouble recalling that event, click this link for a refresher course. (*2) Given gerrymandered congressional districts which favored Republicans in the last election, my argument may seem shear fantasy. But the Republican party seems as fractured these days as Humpty Dumpty. And I don’t see a way for them to put the pieces back together. They are not exactly big tent kind of folks. They will muster support around their various little tents instead. I think that lack of unity will help Democrats in 2014. My post last Friday was prompted by the scheduled appearance of both David Stockman and Paul Krugman on This Week with George Stephanop0lis two days ago. Just as I thought, the aforementioned pair of fiscal authorities could agree upon little. The points of difference deserve consideration, but there is no need to rush. If you’d like to see that discussion again or for the first time, it can be found clicking here. Displacing that discussion today is that of gun control legislation, which is the hot topic in the Senate this week. You probably have heard that families of the Newtown victims have flown to Washington aboard Air Force One to lobby for gun legislation, something they did very successfully to toughen Connecticut gun laws. They will be visiting Senators with photos of their slain children and…. well, I don’t know, but I figure we’ll see some dramatic confrontations on the news. I imagine the Newtown folks will concentrate their efforts on 14 or 15 Republican Senators who have threatened to filibuster any gun legislation that Speaker Reed will bring up, though it is not clear at the moment exactly what that legislation will be. For one thing, Pat Toomey (R) and Joe Manchin (D) are still working on some compromise on background checks. If they can agree, perhaps some deal can be reached. Perhaps, but then let’s not forget there is still the Republican dominated House to deal with, the place where bills go to die. So, why are 14 or 15 Republican Senators threatening to filibuster legislation that even if passed in the Senate will require a miracle to get through the House? That’s what some Republicans/conservatives , such as Senator John McCain and columnist Charles Krauthammer, have puzzled over. 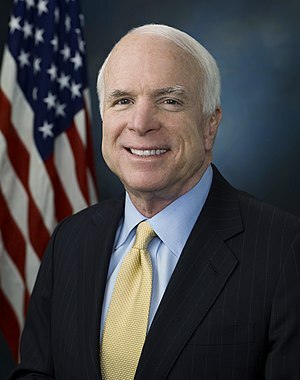 “What are they afraid of?” McCain has asked of his fellow Republican Senators. Chris Cillizza of the Washington Post provides part of the answer when noting “Of the 14 (senatorial) seats that Republicans are defending in 2014, just one — Maine — is in a state that President Obama won in 2012.” Given their constituents, allowing any air for gun control to breathe now might negatively impact their chances of winning their primaries in 2014. Senate minority leader Mitch McConnell is one of those who are up for reelection and has threatened to filibuster. On the other hand, stifling gun control debate will further the image of Republicans as the party that is inflexible and unwilling to compromise, an image that some in the party are trying to reconstruct. Given the roughly 90% national approval rating for improved background checks, it is not clear to me that dodging the gun control issue today will be as helpful in 2014 as these candidates seem to believe. But the drama is just beginning, so let’s take our seats and watch.